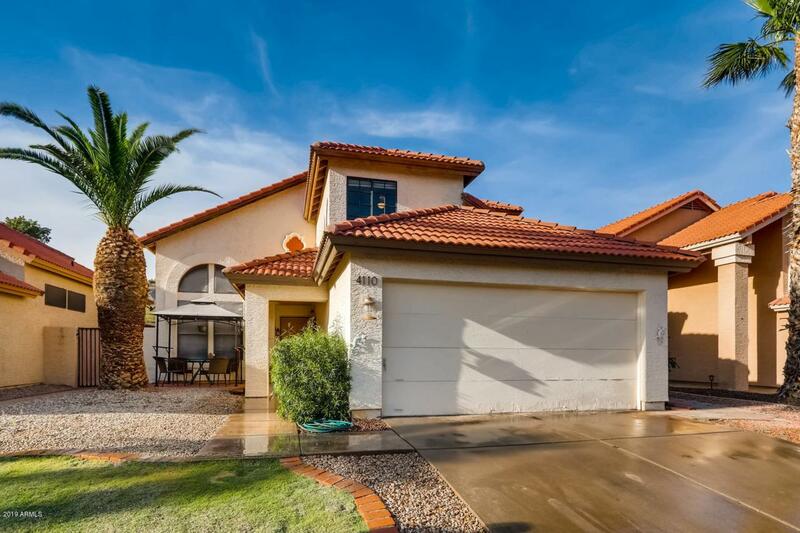 This home has great floor plan, beautiful mountain views out of most windows, low maintenance landscape, low HOA. Within Kyrene School District borders the best School district in Arizona. Very private, great location in Ahwatukee, friendly neighborhood, close to all shopping and restaurants, view lot with no neighbor in back of the house. Walking distance to pool, tennis court, dog park and child playground. Usual wear and tear, and left upon new owner to get the paint and flooring of their choice.